The presence of a surrounding medium strongly affects the spectral properties of localized surface plasmons at metallic nanoparticles. Vice versa, plasmonic resonances have large impact on the electric polarization in a surrounding or supporting material. For applications, e.g., in light-converting devices, the coupling of localized surface plasmons with polarizations in semiconducting substrates is of particular importance. Using photoemission electron microscopy with tunable laser excitation, we perform single-particle spectroscopy of silver nanoclusters directly grown on Si(100). 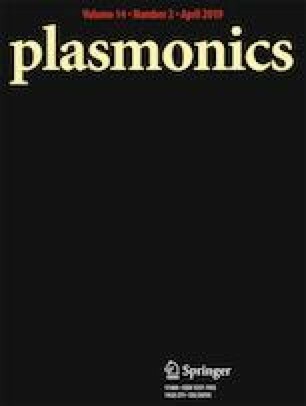 Two distinct localized surface plasmon modes are observed as resonances in the two-photon photoemission signals from individual silver clusters. The strengths of these resonances strongly depend on the polarization of the exciting electric field, which allows us to assign them to plasmon modes with polarizations parallel and perpendicular, respectively, to the supporting silicon substrate. Our mode assignment is supported by simulations which provide insight into the mutual interaction of charge oscillations at the particle surface with electric polarizations at the silver/silicon interface. We gratefully acknowledge support from NTH School for Contacts in Nanosystems.